Moving is a task that many people who are moving don’t look forward to. Without proper planning, it can be quite stressful. You should always make a checklist to make moving easier and hassle-free. Without a checklist, you can easily forget important things that you’ll need. While moving, we normally give little to no attention to to floor protection. However, you will have to follow some proven steps to protect your floors. Otherwise, your floor and carpet will be damaged due to the prolonged exposure of dirt, dust, and pressure from moving items in and out of your home. 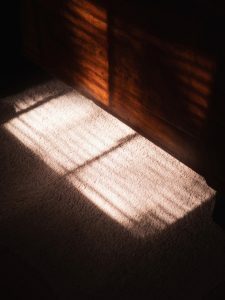 Below are some ways on how to protect carpet when moving so that your flooring doesn’t get damaged. You can start by placing a mat outside of your front door. By doing so, you will prevent the small dust particles from entering your home. You should also place a rug inside of your home near the door to protect against all those dust that can enter after crossing the mat. If you have wood flooring, you can use area rugs and floors runners to protect your home. It can help even in high traffic areas. You will find floor runners online and in packaging supply warehouses. The floor runners have a self-adhesive that will help to prevent unwanted movement on your moving day. You can use a carpet mask to protect your carpets. Carpet masks are similar to stretch wraps. They will offer a layer of protection from the dust and dirt. Also, these are an affordable option. Once you use carpet masking, you do not need to clean your carpets for reuse. The carpets masks come with the self-adhesive feature. They have non-slip surfaces and are easy to install. Consider using the shoe covers. These are mostly used for home service personnel. These covers are reliable and affordable. The benefit is that they will offer additional protection from the dirt and water. Furniture sliders can be ideal to create a barrier between the floor and furniture. These are available in different sizes and shapes to become a favorite choice for different uses. You can find furniture sliders in local retailers. You can use them for desks, dining room tables, and even chair legs. If you have heavy furniture, then you will have to take some extra measures to ensure optimal floor protection. You can use plywood to create a layer of the temporary floor over the existing one. It can offer the best protection to your floor. In the absence of plywood, you can use dollies with rubber wheels. Avoid using metal. Now you know how to protect carpet when moving. You can follow the above tips to protect both your carpet and floors. You will find most of the items mentioned above in your local hardware store.